Welcome to the JVNP 2.0 Update, featuring a primary JV invite courtesy of fellow JVNP 2.0 Partner John Di Lemme (Ultimate Closing And Marketing Success Library launch affiliate program JV invite), Buzz Builders (Alex, Nick + Jessica Ortner – The 11th Annual Tapping World Summit pre-launch) , and More … in Today’s earn big affiliate commissions while helping John Di Lemme change lives edition. 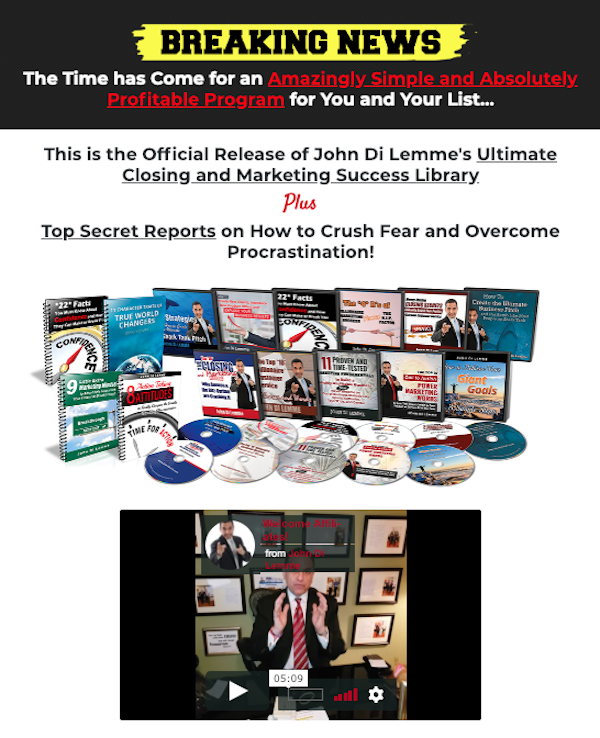 Fellow JVNP 2.0 Partner, this is the Official Release of John Di Lemme’s Ultimate Closing and Marketing Success Library Plus Top Secret Reports on How to Crush Fear and Overcome Procrastination! This incredible package is jam-packed with John’s Top Motivational Marketing Teachings and Reports that have generated hundreds of millions of dollars for his clients. John’s been teaching for over 18 Years, and generated hundreds of millions of dollars for his clients, so he decided that it was time to share HOW and WHY his clients are so successful. He’s chosen the best of the best of his teachings, backed by hundreds of Real Reviews for the Ultimate Closing & Marketing Success Library. He’s seen it happen, over and over again, with his clients … so he knows first-hand that it works! 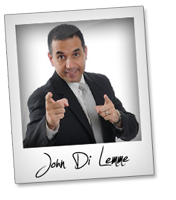 …Because John’s throwing in a ticket to one of his *2* Day 17K Inner Circle Champion Mastermind Club Events – For EVERY person who orders the Success Library! This is HUGE! He’ll be revealing Motivational Marketing strategies for two full days that he guarantees will transform lives and turn around businesses. So, we’re going to keep it as simple as possible for you to Make Money without bombarding you with tons of useless information. You’ll never have to worry that John Di Lemme’s products or services will jeopardize your relationships with the people on your life. Plus John’s reputation is at stake, because his name is on this program! He would never chance ruining the reputation he’s built over the past 17 years, or more importantly, compromise the relationships that he has with his own clients just to sell a product package. Thank you, in advance, for supporting John’s mission to flood the market with products and services that will not only make you plenty of money, but dramatically impact anyone that grabs a hold of the package. Experienced affiliates, we’re looking forward to working with you.